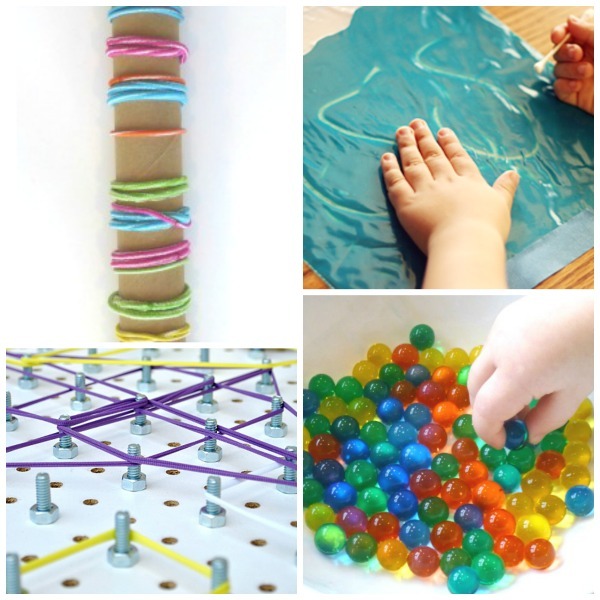 Strengthening a child's tiny hand muscles is important for an array of early learning tasks including cutting, drawing, & writing. 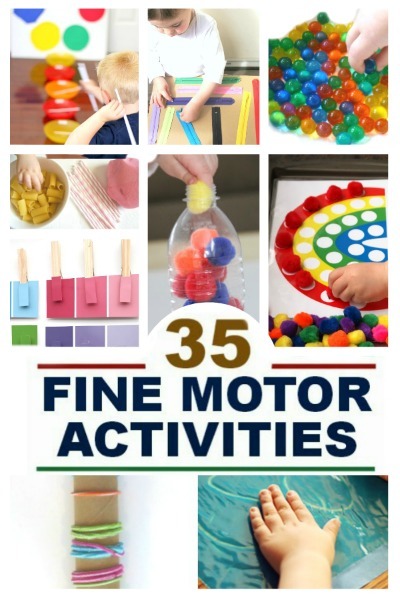 There are tons of fun activities that can easily be set up to help strengthen fine motor skills. 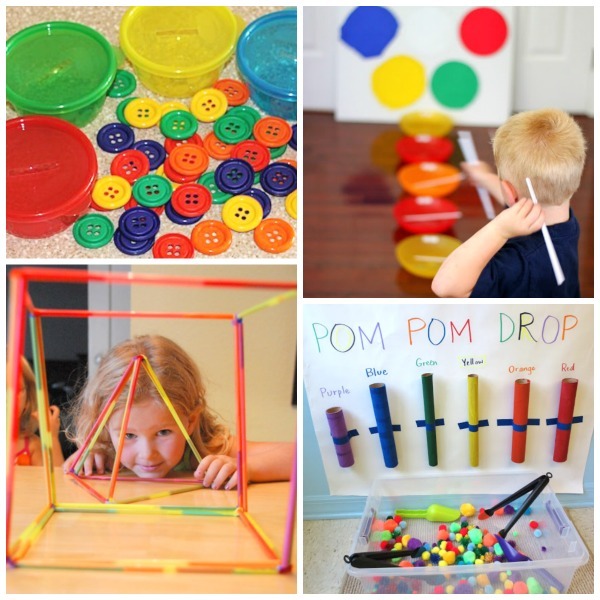 Here are over 35 simple ideas that preschool kids are sure to love! 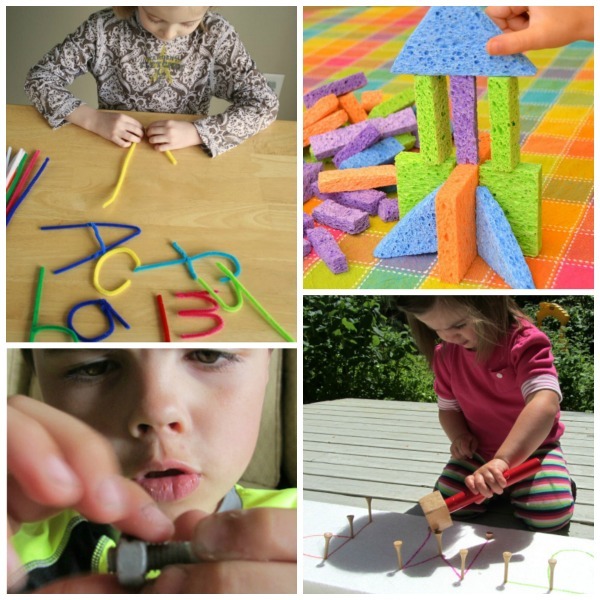 Build words with mega blocks. 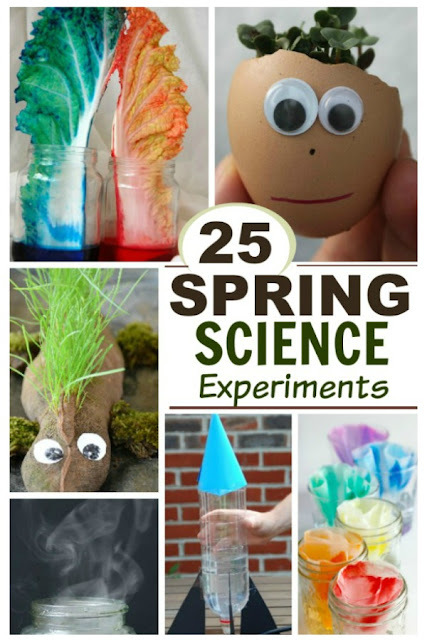 Give kids pipe cleaners to make fine-motor sculptures. 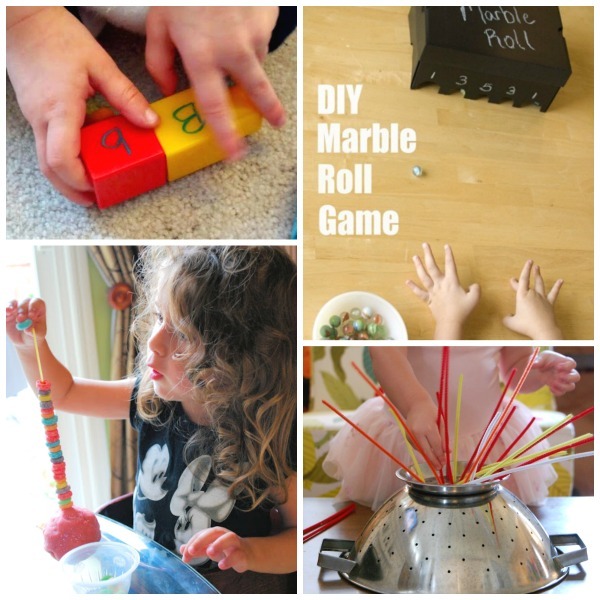 Re-purpose a cereal box to make this fine-motor marble game. Work those tiny muscles with this Javelin throw game. 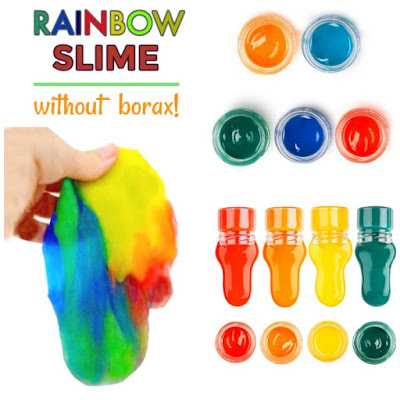 Make a pop-pop color drop. Keep them busy & engaged with rainbow sorting. 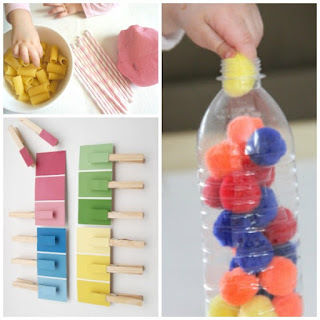 Have the kids make their own sensory bottles. Make them a zipper board. 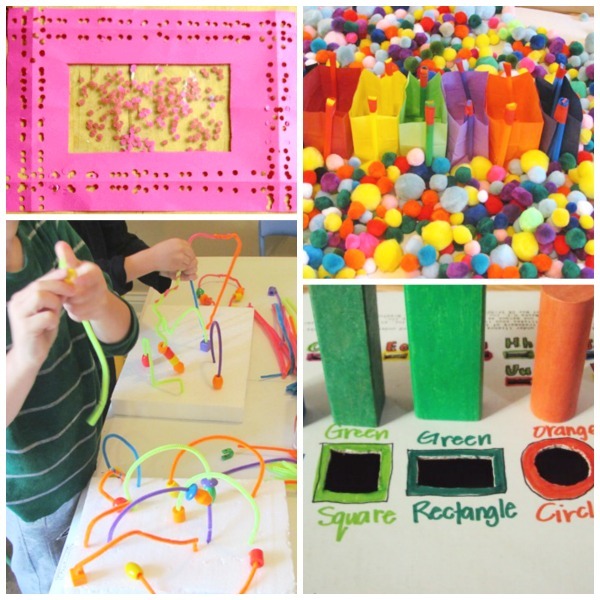 Construct letters with pipe cleaners. Spell with nuts & bolts. "Pound & learn" the alphabet. Strengthen those tiny muscles with tubes and bands. Have kids trace letters in paint. 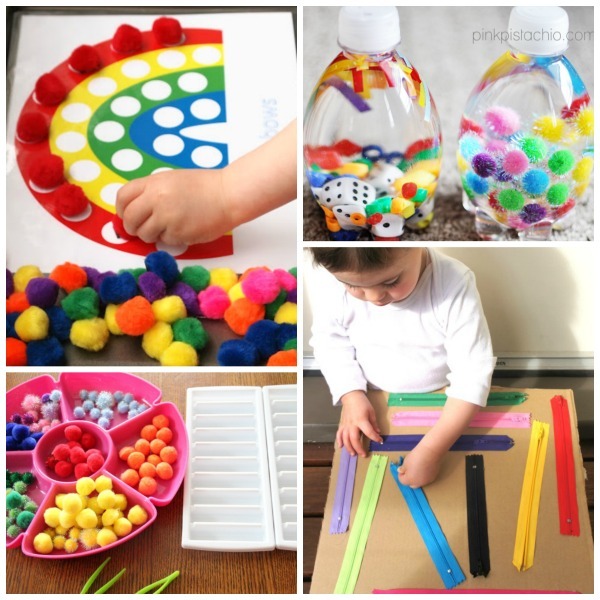 Color sort with water beads. Keep them busy with pasta treading. Make a paint chip matching game. 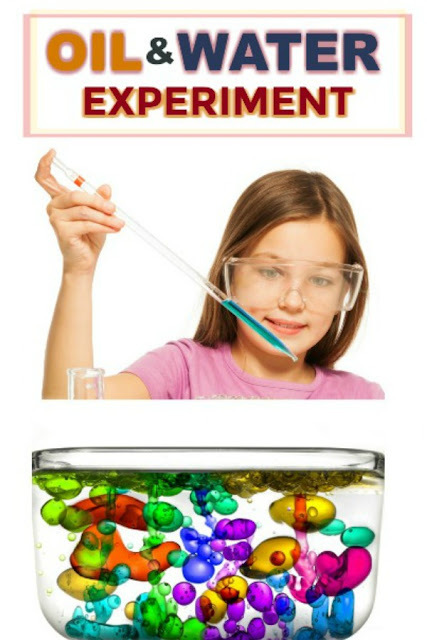 Use pop-pops to make this color drop game. 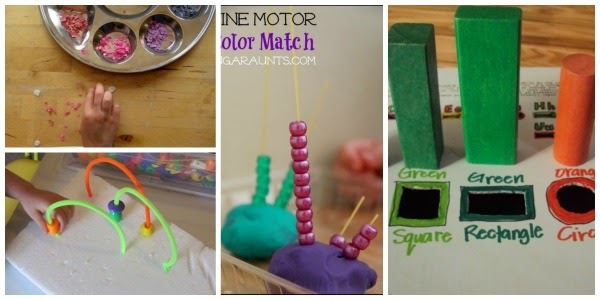 Make a fine-motor drop box.